There are many reasons for choosing to educate your child outside a traditional classroom setting. A public virtual school provides a choice for parents who want to be more directly involved in their child’s education. Personalized instruction options address the academic needs of students at all levels. When you enroll your child in Texarkana ISD Virtual Academy, you can be confident that you are providing the very best education. 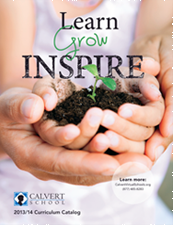 Since 1906, Calvert has helped parents guide their children toward academic excellence and achievement. Whether you have one child or multiple children enrolled in our distance learning program, your family can look forward to a wonderful educational experience. At Calvert, we pride ourselves in the level of personal support we offer to our families. When you contact Calvert with a question about the curriculum, technology issues or our services, you can be assured that your questions will be answered promptly to your complete satisfaction. Enrolling in Calvert means you never have to go it alone. We welcome you to our global educational community. You and your student will experience many opportunities for interacting with the Calvert team and other families, all of which take place in a protected online environment. We are excited to offer our program through Texarkana ISD Virtual Academy. Together, we will embark on a rich and wonderful journey.